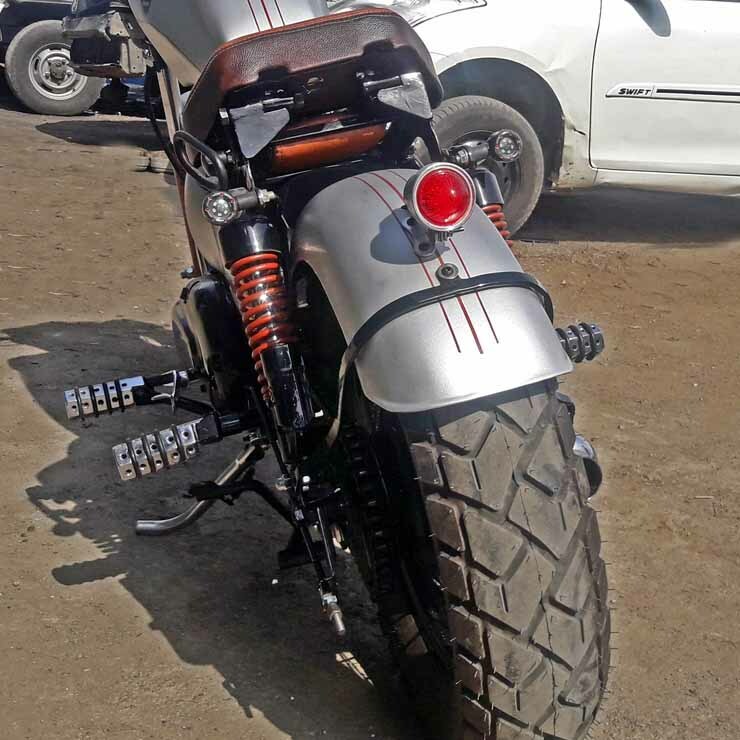 Dochaki Customs’ Royal Enfield Thunderbird 350-based Bobber: Check it out! What we have here today is yet another piece of art from the very skilled team at the Pune-based Dochaki Customs. 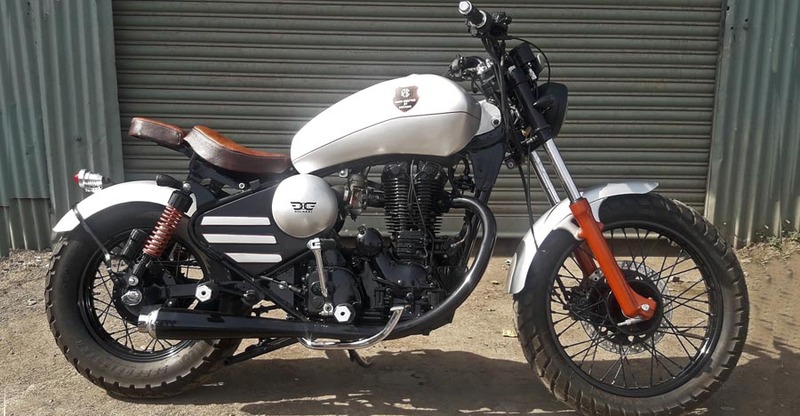 Based on a 350-cc Royal Enfield Thunderbird, this Bobber has been dubbed the ‘Nirankush’. 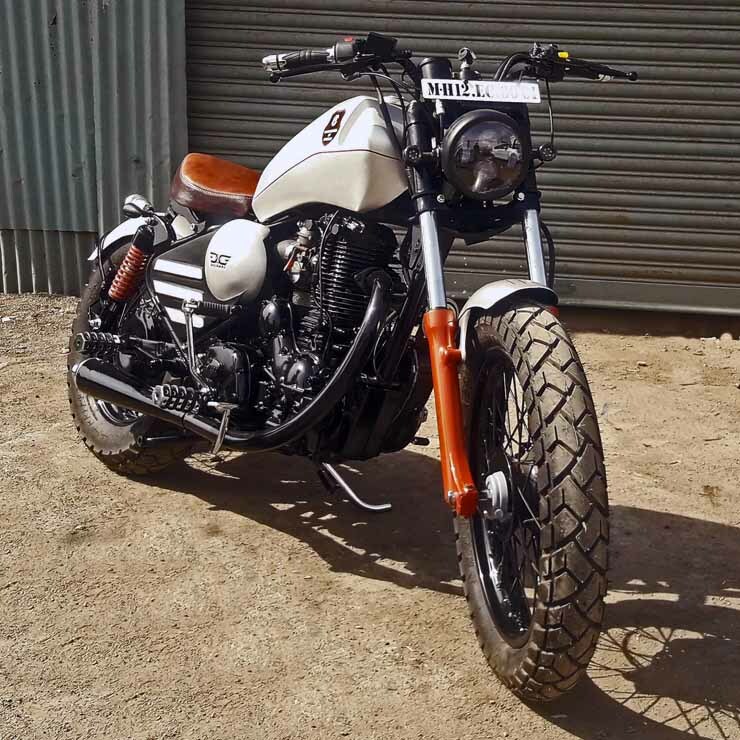 The customisers say that this custom-built Bobber has many hand-crafted parts for a bespoke look. The biggest highlight of this motorcycle, however, is a special foldable pillion seat, which can be opened when it’s needed. As you can see in the images we have here, this Royal Enfield Thunderbird 350 looks nothing like the stock version. Up front, it gets a black-painted spoke wheel that has been shod with an all-terrain tyre. The front forks have been given a dark orange paint finish and the front fender has been replaced with a custom unit. The original head lamp makes way for a custom version that carries multiple projector setups. Even the stock indicators have been replaced with LED units. In the side profile, you’ll be quick to notice the rather bulbous custom fuel tank that gets ‘Dochaki’ branding. The original stepped seat has been replaced with a smaller unit that comes draped in high-quality leather. Like we said, the pièce de résistance of the new setup is the foldable rear seat. The original exhaust pipe has given way to a shorter, custom unit. The engine gets an all-black paint finish to add a touch of sportiness to the side profile. The inverted rear gas-charged shock absorbers get a red-black paint finish. Another highlight is the set of custom foot pegs, which have a chrome finish and are chunkier than the original ones. Even the rear gets a handful of changes. The black-painted rear spoke wheel has been shod with a wide, all-terrain tyre. The original tail-light has been replaced with a much smaller unit. Even the original indicators have been done away with. Instead, the motorcycle gets small LED indicators that have been mounted just below the seat. Details of the performance modifications aren’t available at the moment. The stock Royal Enfield Thunderbird 350 is powered by a 346-cc, single-cylinder, carburettor-fed motor that outputs a maximum power of 20.07 PS. The engine comes mated to a 5-speed manual transmission.